Flower Camping Le Fou du Roi är en camping i Lansargues, Hérault. Campingen har platser med stängsel, med skugga, utan skugga och platser med lite skugga. Det finns möjlighet att hyra tält och husbilar. Denna inspektör gör varje år ett besök på Flower Camping Le Fou du Roi och inspekterar campingen för ca 200 faciliteter och för andra förekommande punkter. Inspektören är en medarbetare från ACSI och arbetar inte för campingen. Very small pitch, insufficient room to put up an awning. Generally unkempt appearance about the whole site, could do with a good tidy up of the hedges and pitches. This is more of a chalet rental site not really a caravan/camping site. We used a tap for our water which the man who checked us in saw us using, next day my husband was using the same tap and a lady came shouting and screaming at him that he wasn't to use that tap. Bit of a contradiction when we had already been seen using that tap. After that we no longer felt welcome as it was unclear what we had to do to be carrying out the correct procedures to satisfy the owners. Vill du boka Flower Camping Le Fou du Roi eller få mera information? Det går bra med nedanstående uppgifter. 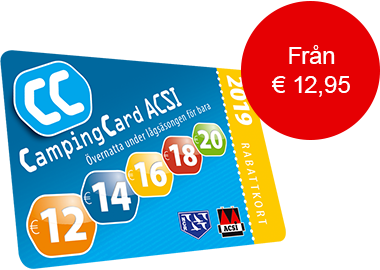 ACSI Eurocampings skickar din informationsförfrågan till "Flower Camping Le Fou du Roi".